Why base-58 instead of standard base-64 encoding? Don’t want 0OIl characters that look the same in some fonts and could be used to create visually identical looking account numbers. 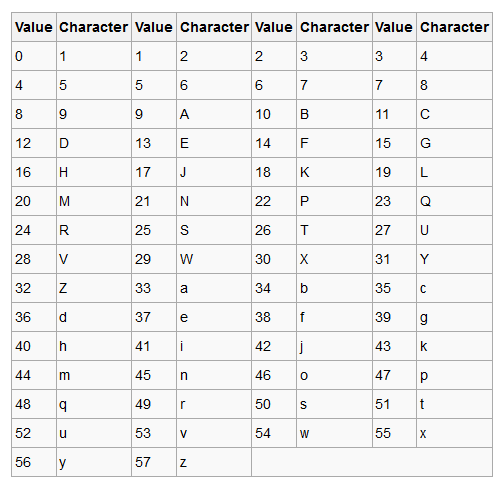 A string with non-alphanumeric characters is not as easily accepted as an account number. E-mail usually won’t line-break if there’s no punctuation to break at. Doubleclicking selects the whole number as one word if it’s all alphanumeric.